It was a fine sunny Sunday in Singapore so we headed across the road for a bowl of Japanese noodle soup and then took the MRT to Expo. 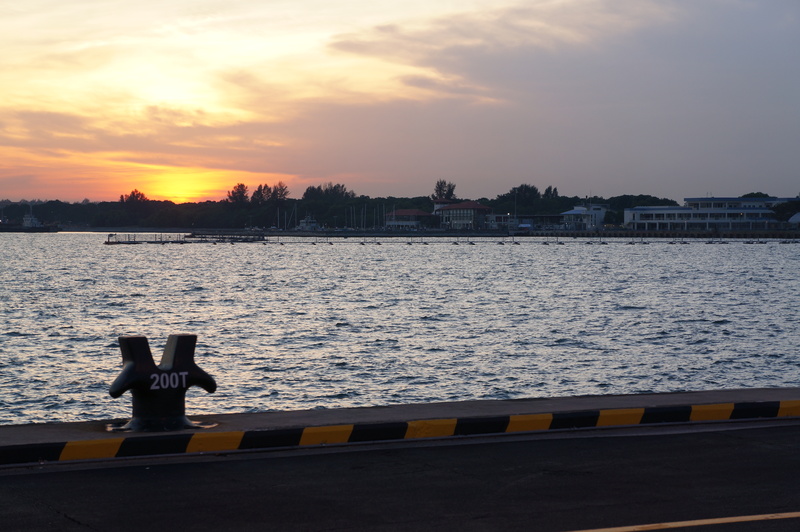 We wandered down to Expo Hall 3 and after queuing for around 45 minutes or so, boarded a bus bound for the Changi Naval Base – home base for the Republic of Singapore’s Navy. 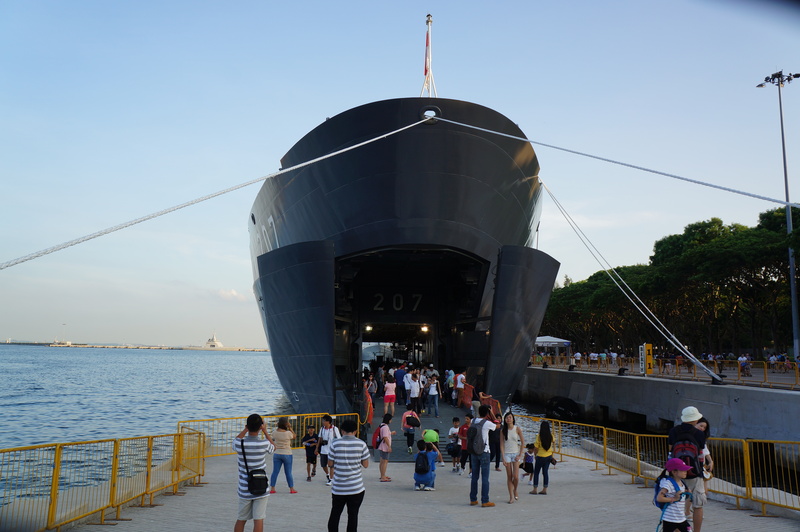 It was a great, although hot, afternoon walking around looking at submarines and ships, both from the Singapore and some foreign navies. There were ships present from the navies of Indonesia, the USA, Australia, India and France as well as a major part of the Singapore Navy fleet. There were also many displays and the whole day was designed to be a fun day out for families with plenty for the kids to do as well as many of the ships open for inspection. I will be posting entries later this week about specific ships I saw. What was great for me as well was seeing two ships that I currently have on my painting table – more about that later this week thought. .Included with the ships was a submarine. 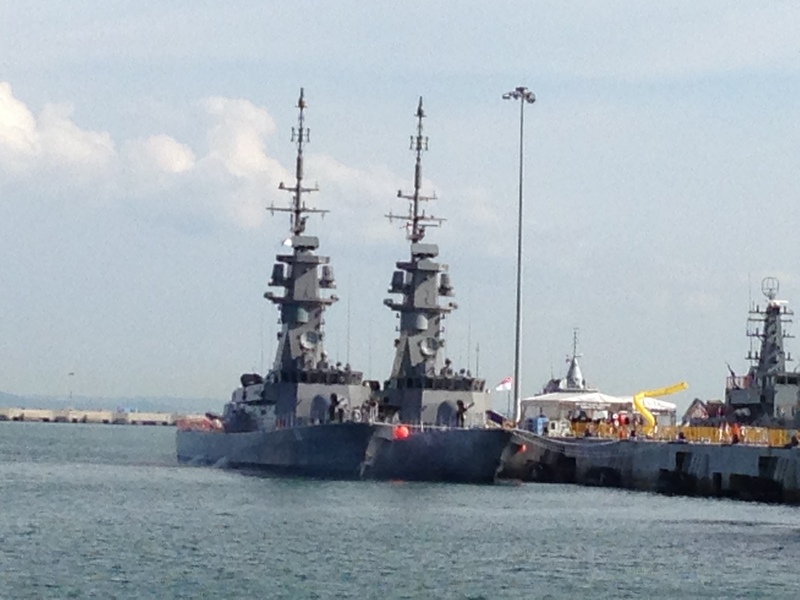 Seeing a submarine next to some ships really emphasises how small the submarines actually are. On display too was the Submarine Rescue Mother-ship Swift Rescue. Also present were elements of the Singaporean army with displays of Infantry carrier vehicles, light tanks and the Leopard 2 Main Battle Tank. A reconnaissance drone was also on display. One of the more popular displays was where kids got a chance to use some of the Navy’s training simulators. Also popular were the landing craft and DUKW rides – the former departing from the RSS Endurance stern and the later from dry land. 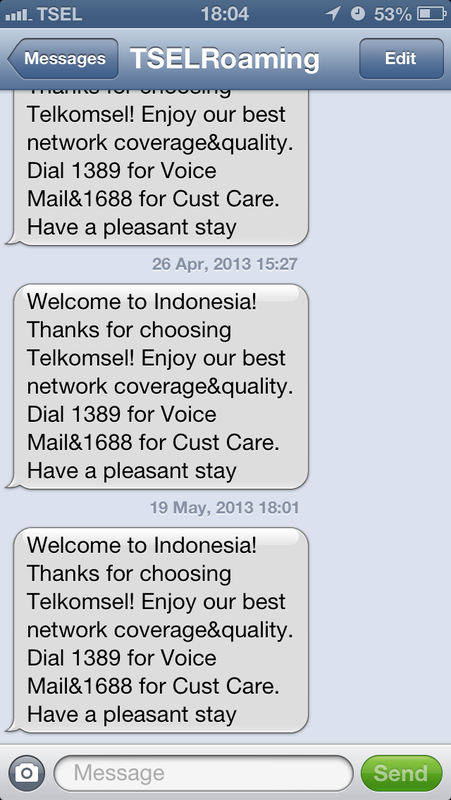 Of interest to me as well was the note that I received from Telkomsel, the Indonesian mobile phone provider, welcoming me to Indonesia and telling me how to collect my voice mail. The only problem was that I was not in Indonesia at the time but still in Singapore. I guess this is one of the problems with having three countries located so closely together. Definitely something to keep an eye on when around the edges of Singapore where a foreign carrier signal may be stronger than the local SingTel signal, especially if like me you travel a lot and have your phone enabled for roaming. Leaving the display was another interesting logistics exercise and we queued for around 45 minutes or so to catch a bus from the navy base back to Expo MTR station. Free bottles of water were distributed to all people leaving because it was hot and there was a fair wait to endure before catching a bus. Most everybody was in good spirits however so the wait was not stressful at all. An incredibly nice touch was the local naval personnel manning the exit route with blue glow tubes to both mark the route to the buses as well as to stand over any obstructions on the ground that could trip people up. The fact that these personnel all wished us well with a cheery goodbye and thanks for coming as we left was a very nice touch. The logistics for the whole event were super and even though the queues for buses at both ends of the event were long, things still ran smoothly. Even the drinks and ice creams being sold in the event were not really overpriced but rather were priced at food court or Kopitiam level – S$1.20 for a can of soft-drink is not expensive for drinking out. I am already looking forward to the next Open House – and for this one we will leave early in the morning to give us time to tour over some of the ships. We spent 3.5 hours there and walked from one end of the docks to the other and back in that time. I thoroughly enjoyed the day and cannot speak highly enough about the organisation of the event and the attitude of the sailors of both the Singapore Navy and the foreign navies present.